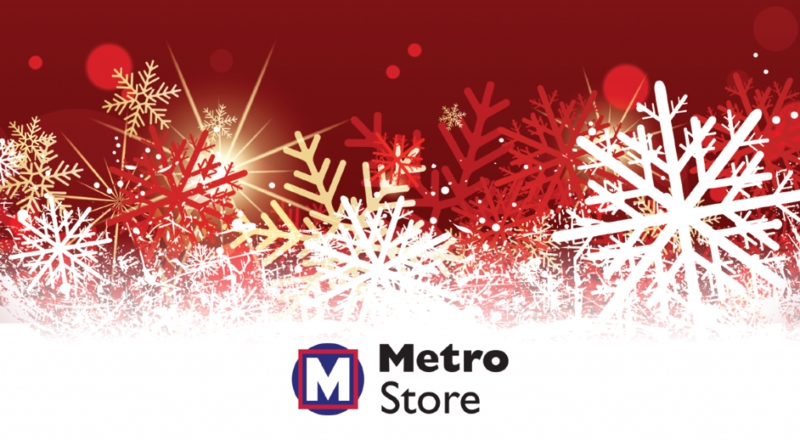 If you still have some holiday shopping to do, we invite you to stop by the MetroStore this Friday, December 9. The annual holiday celebration will take place from 11:30 a.m. to 2:30 p.m. at the MetroStore located at 7th and Washington in downtown St. Louis. During the party, there will be a chance to win a Transit Basket of Metro goodies, which among other items includes a tumbler, apparel and transit passes. To participate in the drawing, be sure to come by the MetroStore between 11:30 a.m. and 1:30 p.m. because the winner will be drawn at 2 p.m. The MetroStore, located at 701 Convention Plaza in America’s Center, is open weekdays from 8:30 a.m. to 5 p.m. Stop in on Friday. You can order your Metro Passes online or over the phone by calling 314-982-1495 using a credit or debit card and your passes will be mailed to you.